Bill and Marg..A Love Story. February 10th is a day of many conflicting emotions for me and my siblings. Allow me to share. 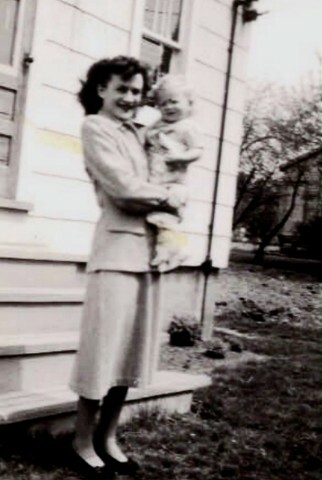 February 10th, 1924 in Hamilton, Ontario Canada, Margaret McKillop Scott Martin was born to Scottish immigrant parents. She was the firstborn of two daughters and grew up in a loving home. There were hard times as the Great Depression hit and life was difficult for everyone. Margaret had a sweet spirit and a winning smile. Sometime in the early 1940’s she met Bill Fishback. Bill was a bit of a renegade…in a good way! He loved life, had lots of energy and feel deeply love with the rather sheltered, shy, Margaret. They became engaged in 1944, but Bill’s mother was insistent that they not marry until they had a HOUSE, and she preferred it be next to HERS! :-). Margaret worked a the Bank and Bill worked at the Hygrade Paper factory. They saved and worked hard and built that house. 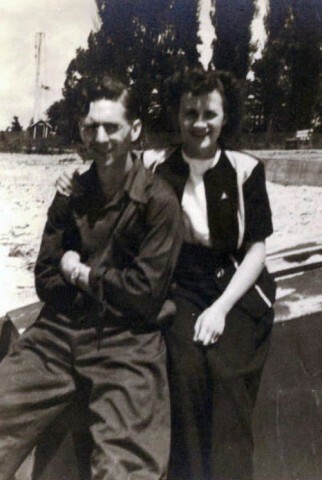 Mark 16th, 1949 they married in Margaret’s home, and for the next 55 years their love story took many twists and turns, ups and downs, but they remained deeply in love and committed to each other. Margaret had Alzheimer’s and it advanced quickly while she was only in her 60’s. Bill never left her side. Even when she had to move to a lovely nursing home where she could get the care she needed he drove there and ate meals with her and always, always believed that she ‘knew him’ right up to the end. Because she had this dreaded disease early in her life and because she had a strong, Scottish heart that kept beating, the Alzheimer’s advanced to all if it’s horrific stages before finally taking her life on June 21st, 2004. Even at the end Bill was there and his love remained steadfast and strong. Bill loved their home ‘up north’ in Ontario. They had retired there and made a great life for themselves in this small cottage community. Bill bravely went on and kept himself as busy as always with mowing grass and ploughing snow for the neighbors. He wasn’t one to complain but ALWAYS saw the silver lining…but his health was starting to fail and he had to move to Toronto to receive treatment for his mobility caused by his diabetes. He moved in with Jan and Rome and enjoyed time with his kids and grandkids. He wasn’t able to drive anymore but never the less he kept busy helping around the house and always, always sharing stories and drinking lots and lots of coffee. Everyone LOVED Bill. He had many names to those of us who loved him. My sister and brother and I called him Dad or Daddy….even our spouses called him Dad as he truly was a second father to Barry and Rome. Our children called him Grandpa Bill. His mother used to call him Billy! February 10th, 2006 started out as a normal enough day. Daddy had a doctor’s appointment and my sister, Jan took him there. The doctor gave him a good report…all seemed normal and he was progressing well. They stopped at McDonalds on the way home. Jan said that he talked a lot about mom that day as it was her birthday. He missed her terribly. I’m sure they shared some great memories over a Big Mac! Daddy called her late that afternoon to say he was fixing them some dinner. He did love to cook. Again he mentioned missing mom. He always called her MOM when referring to her to us. Rome and Jan returned home that evening from work and when Rome went down to check on Daddy he was gone. It appeared he had had a heart attack and was on the floor by the stove where he was, even at the end of his life, serving others. As with everyone who loses a parent it’s more than we can bear. We think of what our last words were. We wondered if we could have done something more or said something more and all of those thoughts crowd into our brains. Then as the years pass the pain of those moments seem to be pushed to the background and we focus more on the good memories. The smiles, the laughter, the hugs, the holidays shared. Today as I remember in a special way both my mom Margaret and my dad Bill I want to hold tight to the good times. The difficult times shaped us all to be the people we are today, but as I look BACKWARDS..this I know for SURE. 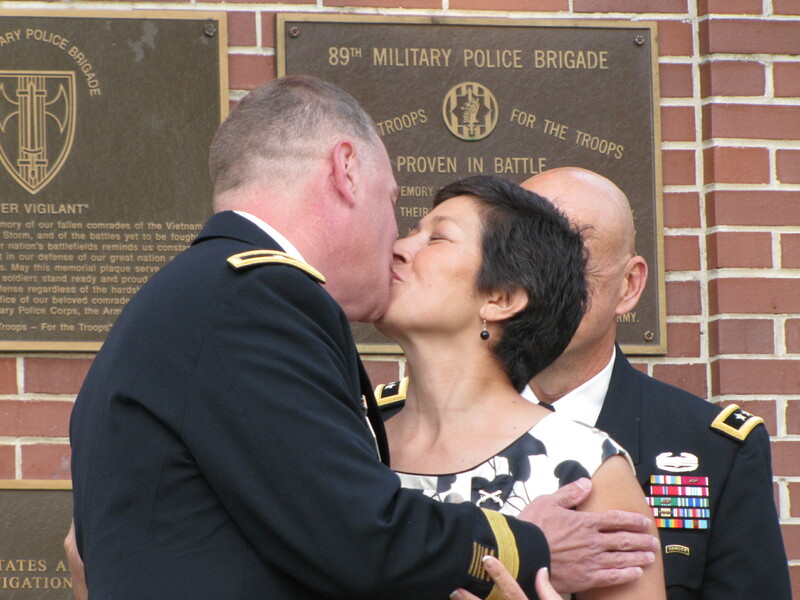 My parents loved each other in a way we rarely see today. My parents loved their three children with complete, unconditional love and acceptance and that gift is a treasure. My parents adored their grandchildren and not only told them, but anyone who would listen! My parents are together now and I imagine are enjoying Mom’s birthday with an angel choir..as she did love to sing! As I look FORWARD I want to take the good lessons from my parents and repeat them in my life. I want to serve others with a happy heart like my dad always did. I want to remember ‘occasions’ with cards and notes and parties like my mother always did. I want to continue to believe in my children and grandchildren that they can change the world into a better place, like my parents believed about us and our kids. and…like my mom..I want to keep taking pictures so I also have these memories to pass on to my kids and grandkids. 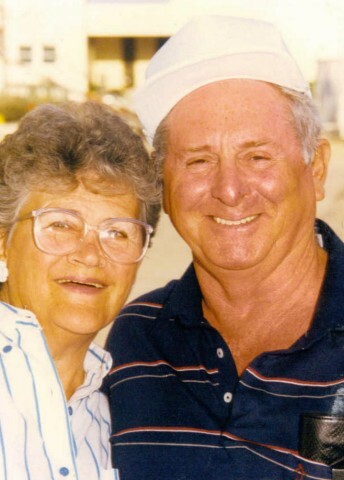 Rest In Peace Mom and Dad and always know that when I think of you…I SMILE! Today I was driving to get the oil changed on our car. As I turned onto the main street there coming toward the stop light was a truck with the words..Batesville Casket Company. For about 99.9% of those seeing that truck it would mean nothing..at least nothing personal, but to me it brought a big smile to my face. BATESVILLE CASKET COMPANY, I repeated to myself ,with a big smile on my face! You see my husband and the person who means the most to me in my life..was BORN in Batesville, Indiana…HOME of the Batesville Casket Company! We used to tease him about it. Being BORN in a town that is known for caskets. But today it made me think about such things. It made me think about how life and death are just a heart beat away from each other. It made me think that people born in Batesville, Indiana may someday be buried in a casket manufactured in their hometown. It made me think about LIFE and DEATH…about how fleeting LIFE is and how REAL death is. It made me think about my FAITH. How I believe in God and that I believe that because I’ve made a commitment to Jesus Christ as my personal Savior that, because of what HE DID I will pass from LIFE through DEATH to LIFE. It made me think of those who have died that I MISS so much..so much…my grandparents, my parents, my aunts and uncles, my friends who have passed from this life to the next. It made me think of friends who are dealing with cancer and war wounds and serious illness and that always, always humbles me as I watch them deal with LIFE…cherish LIFE…appreciate LIFE. I need to do that more. It made me think about driving on to Fort Myer at least once if not more times a week and looking across at Arlington National Cemetery and giving thanks for those buried there who gave their lives for our freedoms. I wish I could thank them all in person, so I try to thank service men and women and their families who I know and who I don’t know. Batesville Casket Company, Batesville, Indiana. I wonder where that truck was going? I wonder who will have to sit in a funeral home and select a Batesville Casket from a brochure to lay their loved one to rest? I wonder a lot…..about many things. July 30th, 2010 a little boy was born in the Batesville Hospital..Benjamin! Benjamin is the son of friends of ours. Our kids used to babysit Benjamin’s mom and her sisters. July 30th, 1950 another little boy was born in Batesville Hospital and he grew up to be the man of my dreams and has made all of them come true. So perhaps Batesville is known for the Batesville Casket Company to most folks, but to me, it’s know for the birth place of my wonderful husband!!! !